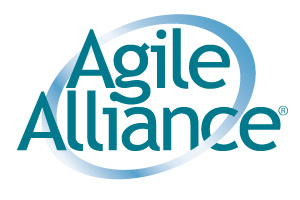 The Agile Alliance Functional Testing Tools Workshop (AAFTT), held the day before the Agile 2011 conference in Salt Lake City, was once again one of the highlights of the conference. Organised by Jennita Andrea and Elisabeth Hendrickson, it was as always a wide variety of participants with a passion for testing and testing tools. Here are my notes from the day held on August 7, 2011. The session was facilitated by Ainsley Nies, and all of the official session notes are stored on the AAFTT wiki: http://aaftt.agilealliance.org:8080/display/AAFTT/agile2011. The theme of the AAFTT is: “Advancing the state of the art and the practice of Acceptance Test Driven Development”. The law of mobility and responsibility (also known as the law of two feet) is if you are not learning or contributing where you are, go some place where you will. Also, butterflies and bumblebees cross pollinate ideas. Finally, we were warned to be prepared to be surprised. This was the first session that I attended. Elisabeth Hendricksen led this session on tools that are attempting to solve the problem at the last mile. Mary Gorman led this discussion. As with any conference, there are always sessions you would have liked to have got along to. Richard Lawrence led a discussion on Static Analysis for Gherkin which turned into a discussion on design patterns for Cucumber. My mate Jason Montague led a session on Building Conditions Conducive for ATDD Adoption. As for me, my comment was the day had renewed my energy again. ATDD is hard, and as a community we need to try harder. Finally, I recorded a short audio podcast for The Agile Revolution wrapping up AAFTT. Small update to include link to podcast.